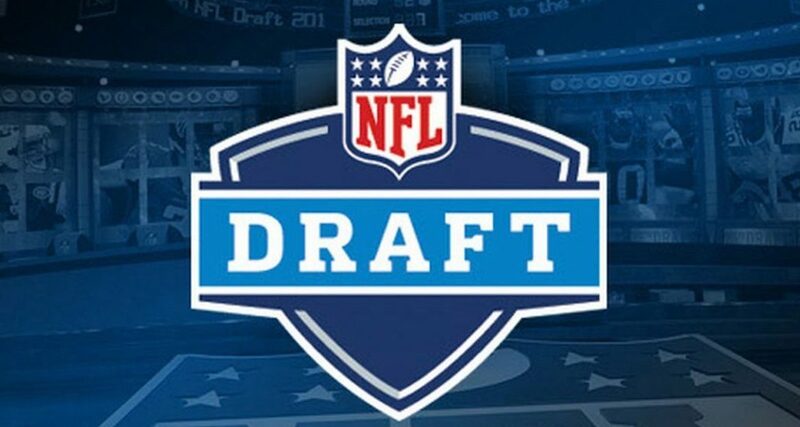 Here we go, the 2018 NFL Draft. Like last year, I have to start off by saying that this is not my first round predictions. Instead, I will be selecting every team’s best possible selections based on team needs and position availability irrelevant of what they will probably do. Later, I will give draft grades on these same criteria, and analyze their decision-making process. So, let’s take a look at what should happen when your team is on the clock tonight. The only question facing the Browns with their first pick is which of the five quarterbacks they’ll choose. Personally, I only think one of these men can be an immediate franchise quarterback…and that’s Lamar Jackson. However, I didn’t choose him here because of Cleveland’s move to get Tyrod Taylor in the offseason. There is no need to have two dual-threat quarterbacks on the same team, so he’s out. Josh Rosen is NFL-ready, but he has been outspoken about his unwillingness to play for the Browns, so he’s out. Baker Mayfield is a solid quarterback, and probably my second pick for the job, but his emotions and off-the-field behavior isn’t something the Browns need to deal with right now. Lastly, Sam Darnold is just not ready to take over a team yet. He has by far the best potential and skill set, and when we look back at this draft 10 years later, I think Darnold will be the best QB of the bunch. However, he is not going to win in the NFL if he is forced to start right away. He struggled to win consistently at USC, and he was shut down to the tune of just seven points (via a rushing score by his running back) by an NFL-caliber Ohio State defense in the Cotton Bowl. In my opinion, Darnold should’ve stayed at USC for one more year, so I hope he gets the Jimmy Garoppolo treatment and learns the game behind a veteran before being thrown into the fire and burning out early in his career. So, simply by process of elimination, Josh Allen should be the #1 pick of this draft. Have you seen his hands? This is an easy one for me. I was getting so angry hearing all the experts predict that the Giants would find Eli Manning’s successor with pick #2. I guess they forgot about Davis Webb getting picked just 12 months ago. Anyway, the Giants are about to get the best player from college football by a long shot. To be honest, I thought Barkley was a bit over-hyped as I got to see him firsthand living in Big Ten country. He is an exceptional runner with strength to bounce off of college defenders, but the NFL will be different. As flawless as his combine was, Barkley needs to improve his vision in close quarters, and fans need to be prepared to see that he won’t be as good when there isn’t so much open space in front of him. Not to mention, I have seen him drop a ton of balls for a “pass-catching running back”. Don’t get me wrong. I think Barkley will have a long NFL future, but taper those expectations. The Jets traded from pick 6 to 3 for one reason only- to get a quarterback. Again, I believe Jackson is the best candidate to win immediately, but by signing Teddy Bridgewater in the offseason, I have to eliminate him again. Same note for Mayfield- he’s a great talent, a worthy Heisman Trophy winner, and a solid teammate on the field, but he is too much of a distraction off of it for a team like New York. With Darnold not ready, that leaves Josh Rosen. Though he barely won games in the NCAA, he has all of the tools of a good NFL QB. He probably won’t win in the Big Apple right away, but if he gets some pieces around him, maybe they can pick up a couple in a few years. At least he’s not on the Browns, right? Well, now what? They have their quarterback, they have Carlos Hyde behind him and Josh Gordon and Jarvis Landry out wide. Their defense wasn’t the problem last year. I say trade it. This is a very valuable pick that Cleveland can use as leverage to get first rounders when the draft has more talent in the future. However, if I can’t be so bold, I’ll pick the hometown kid Denzel Ward. After dropping Joe Haden last offseason, I guess they think their secondary is pretty solid. I would prefer the picks of Bradley Chubb or Minkah Fitzpatrick, but since they just got Myles Garrett at the edge and Jabrill Peppers at safety last year, I’ll spread it wide and go with the Ohioan fan-favorite Ward. The Colts were happy to trade down three spots as they were not in the market for QBs. As it turned out, neither were the Broncos, but the Jets didn’t know that at the time of the trade. This pick is interesting because if Quenton Nelson is off the board, I think they will go with the best edge rusher available in Marcus Davenport. That said, I think the formula to getting Andrew Luck back on track is a good offensive line, and Nelson is the perfect guard to help with that. This is a match made in heaven. The Bucs’ only problem last year was their secondary, and Fitzpatrick is an absolute ball hawk. If it wasn’t for so many defensive injuries, Tampa Bay could’ve won any shootout the way their offense was playing. So, adding depth to their safeties is just what the doctor ordered, and it doesn’t get better then this playmaker from Bama. I really wanted to go with a linebacker, but the Bears’ defense was incredible last year. Shutting down offenses like the Falcons’ and Steelers’ isn’t easy, so I think they can hold off on depth there until round 2. What they need is to protect their young core in Mitch Trubisky and Jordan Howard. So, I went for the best offensive tackle available in “The Big McGlinchey” (copyright pending). For years the 49ers have had one of the worst defenses in the NFL. With their offense finally coming together, it’s time to address those needs. I’m starting in the trenches with the best edge rusher on the board. Honestly, I won’t be upset as long as the 49ers pick someone on defense, but Davenport’s agility and quickness for his size is unmatched. Speaking of defense, the Raiders are just as bad as San Fran. That is in part due to a couple of injuries in their secondary, and little help around pro-bowler Kahlil Mack. The gaping hole is linebacker, so I’m going with an athletic Roquan Smith. While a bit undersized, I think he has a high ceiling comparable to the likes of Ryan Shazier. If Smith drops this far, the Raiders cannot miss out on the future cornerstone of Oakland’s defense. With Nadamukong Suh out the door, the Dolphins need a replacement defensive tackle. In comes big-bodied Vita Vea. He’s absolutely massive at 6’4″ 350 pounds, and somehow he is incredible at putting pressure on quarterbacks. The Dolphins need some help all around, and Vea can be a huge weapon on the defensive line. Yes, still no Sam Darnold. Lamar Jackson is a better version of Tyrod Taylor, and he’s just what a struggling Bills offense needs to get over the 8-8 / 9-7 hump. While he has a tendency to run a little more than pass, it is perfect for the powerful RPO that is sweeping the NFL. If Jackson and LeSean McCoy build chemistry in the shotgun, they can be deadly all the way through January. Da’Ron Payne is perfect for the Redskins. They need run stoppers to go with their impressive secondary, and Payne can do just that. He’s big and strong, and impossible to bring down. He’s not much of a pass rusher, but the athleticism is still there as seen by his big time pass-catching in the CFP last year. With the proper training, Payne can develop his pass rushing, but regardless, there is no way anyone is going to run through him. All of the Packers’ needs are a reach at this point. If I’m Green Bay, I would probably trade down a couple of spots before taking a bigger need at cornerback or offensive line, but since they went with Kevin King last year, and there aren’t anymore elite offensive tackles, I think they get the best receiver in the draft in Ridley. Much like Amari Cooper, Ridley has great hands and good lateral movement, and Alabama has a history of producing elite NFL receivers. He’s a very safe replacement for Jordy Nelson. Finally, the Cardinals cannot pass on Darnold. I still don’t think he’s the starter, but with Sam Bradford on the roster, who has a very similar style as Darnold, I think the USC product can learn a lot about life in the NFL. Again, hopefully he isn’t thrust into the starter role right away, but given time to develop, Darnold can be one of the best Cardinals of all time alongside Kurt Warner. Joe Flacco loves a big play tight end, but there is no scarcity in the position. The Ravens have historically had a rough and tumble defense and in recent years have been unable to live up to those expectations. In order to get that back, Baltimore goes with a hometown linebacker from Virginia Tech. He’s a strong athlete with great vision and leadership who can drop anyone in his path. Anyone crossing over the middle better beware of this guy feasting on tackles. The 4th member of the Crimson Tide to go in the draft is a feisty inside linebacker. As the Chargers picked up a stud in Joey Bosa at the edge, they can complete their defense with Evans in the middle of the field. I wouldn’t mind seeing an offensive tackle go here to help out Melvin Gordon, but since there isn’t much first round talent in that position, I think L.A. can wait until round two or three to address that need. Speaking of offensive line, here you go. Russell Wilson is a guy that loves to run and make plays on his own. That’s a nightmare for an offensive line because they can’t just hold the pocket. Luckily, Hernandez is not one of those uniform guys. He can make the opposition move and loves to block at the second level, which is exactly what the Seattle running game needs. No Dez Bryant? Potentially big problem. Receiver needs to be addressed with this pick, and if Ridley is indeed off the board it has to be Moore. He’s small like Cole Beasley, but very strong with his hips and hands. In all my time watching him in the Big Ten, I haven’t seen him drop a good pass. Obviously, he’s no Bryant, but he’ll do for now. I will be happy as long as the Lions don’t waste this pick on offense. They are one of the highest-scoring teams in the league, and the air-raid doesn’t need much beyond a steady, cannon arm to get going. What it does need is help on defense so every game isn’t a shootout, so I picked Derwin James. Honestly, it’s a shame he’s had to fall this far, but no team has needed a safety beyond the Bucs to this point. So, kudos. Who else? Cincinasty has a history of picking the most skeptical characters in the first round, and Mayfield is that guy. With the defense good enough, if not undisciplined, I think the Bengals should go offensive line. But for the third time, there aren’t that many good offensive tackles, so why not get AJ McCarron’s replacement as Andy Dalton’s backup if he’s available? Mayfield will be a great quarterback for the Bengals in time, and maybe some time behind Dalton can help him gain some humility. This one is hard, and I admit that I am a little biased as an OSU student. I have seen Billy Price grow and play in all three interior lineman positions, and become one of the best captains in Ohio State history, and you know that’s saying something. This man’s leadership and experience is vital to any organization, especially one desperately needing help on the offensive line. The only thing holding me back is his pectoral tear in the combine, but if anyone is going to come back strong, it’s the man who never missed a snap for the Buckeyes. Talk about a guy just falling into your lap. The Patriots had to let Malcolm Butler go over the offseason, and need someone who can bounce around the secondary. Well, here you go. Alexander has experience at corner out wide and in the slot, so coach Bill Belichick can rework his defense any way he wants to. The Panthers could use a receiver here, but with Bashaud Breeland failing his physical, Carolina is forced to address their cornerback spot first. Luckily, Josh Jackson is a supreme talent with great hands and good cover ability. He doesn’t have a ton of high-class experience, but with time in Carolina’s system I think he can develop into the next Josh Norman. Excuse my bias, but I love this guy. He loves to win, he’s strong and has textbook fundamentals on the edge. He’s one of the best athletes I have ever seen, and an even better leader on the defensive front. I know he isn’t projected to go until the second round, but the Titans won’t be sorry if they take a risk on this future star. The Falcons need a defensive tackle. Plain and simple. They will be taking the best one available regardless of his particular skill set, and in this case, it is Taven Bryan. Even better, Gainesville is only a couple of hours from Atlanta to help the #1 pick gain some traction with the fans. Ever since Jimmy Graham left, the Saints have struggled to find that extra weapon for Drew Brees in the red zone. Having Coby Fleener on my fantasy team helped me understand that he was not the guy. So the Saints will pick up the best tight end in the draft by a long shot and see if the wrecking ball can stick in their high-powered offense. I really think Pittsburgh needs a QB, but with the top 5 off the board, they can afford to wait around to find Ben Roethlisberger’s successor. Furthermore, with Ryan Shazier’s future uncertain, inside linebacker just became a priority for the Steelers. What could be a better fit then a workhorse and former walk-on from a mid-tier football school? Vander Esch isn’t a household name, but leave it to Mike Tomlin to make him one. Say what you want about Blake Bortles (and I do), he wins football games. So while I could see Mason Rudolph coming off the board here, I think Jacksonville can go ahead and try to shore up their outside offensive line. Miller is a big guy with experience with a Bortles-type passer in Josh Rosen. He does well to block the run and can move outside the pocket for righties. I think he fits the Jags’ game well as he makes the transition from the west coast to the east. The Vikings need an interior lineman to support Kirk Cousins and Dalvin Cook. There are a few good options, including center James Daniels, but I went with the natural guard to get the process going. I won’t be surprised if they pick up another in round 2 to lock their offense in, but Williams is the safer pick here. This is a tough one because the Patriots’ needs are hard to come by beyond the secondary. With Miller selected a couple of picks ago, it’s too soon to reach for help on the offensive line, and with plenty of average quarterbacks left, they don’t need to go for Tom Brady’s back up right now. So, with linebackers a little thin, I took Landry to give Kyle Van Noy some competition for the starting job. What do you give the team that has it all? I chose someone on defense. Everybody was questioning that Philly defense all postseason long, including myself, but in the end they were just good enough to get the Lombardi Trophy. Time will tell if they are lucky enough to hang on throughout 2018-2019, but an athletic cornerback will help the secondary stay strong in times of struggle. After months of anticipation, we’ve finally made it past Game 82 of the NBA season. Unlike in years past when the Cavaliers’ and Warriors’ paths have been primarily predetermined, 2018 promises to pose some problems. With many of the teams’ seedings getting clinched on the final day of the regular season, the winners of this wide open field are anyone’s guess. Let’s take a look at mine. The Timberwolves have one of my favorite rosters in the NBA, and it’s always so strange to me that they never make the playoffs. Well, after 13 years of torture, they finally did it. They are healthy and hungry, but unfortunately they square up against one of the most dangerous backcourts in the NBA in Chris Paul and James Harden. As with most of the series across the playoffs this year, it won’t be a runaway, but I don’t see Harden going down this early. Also, maybe this is the year CP3 finally makes it to the conference finals for the first time in his career. Prediction: Rockets dominate home court; win in 5. 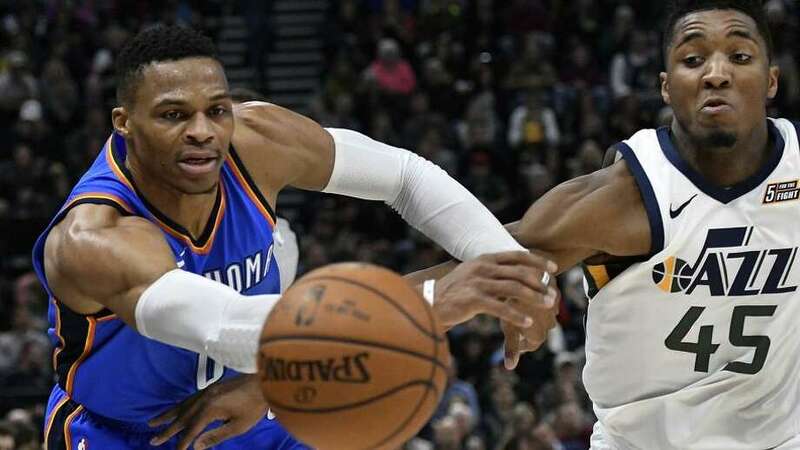 It was heartbreak for the Jazz on the last day of the regular season as they went from a 3 seed ready to take on OKC with home court, to a 5 seed taking on the Thunder from the road. As much as I hate the Thunder’s dynamic, and as right as I was that they would be nowhere close to people’s preseason expectations, I think April 11 was indicative of both teams’ potential this week despite the excellence of Donovan Mitchell. I don’t think the egos in Oklahoma will last too long, but Russell Westbrook can take it over for the time being. Prediction: Thunder sweep the only team that I had outside of my top 8. This one should be very interesting. Of course, a healthy Demarcus Cousins would add an interesting layer to the opposing strengths of the Blazers and Pelicans, but Anthony Davis vs. Damian Lillard will have to do. It’s a little difficult to predict exactly how this series will go because Portland is guard-oriented with plenty of 3s and jump shots, while the Pelicans prefer grinding out points in the paint. 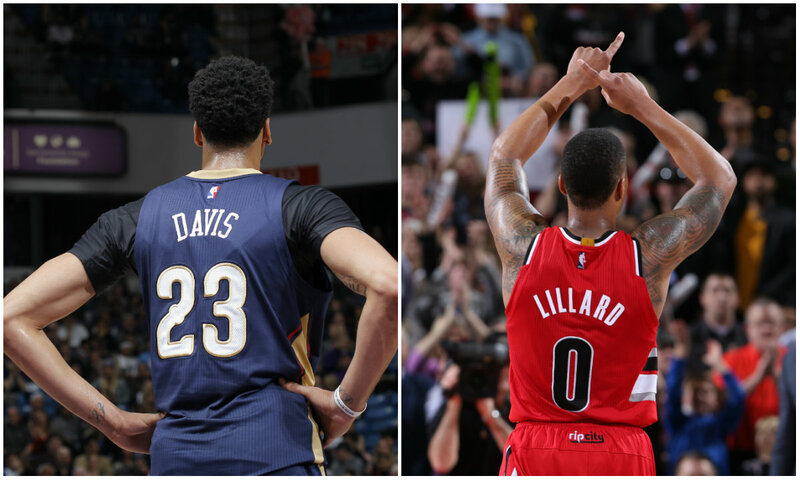 They will both find success throughout the series, but in the long run I’m picking the Blazers’ backcourt to stay hot. Prediction: Blazers have to battle, but win in 6. Right, neither of the faces above will be playing in this series. Kawhi Leonard has been dealing with a nagging quad and ankle since last postseason, and Stephen Curry will miss the first round with a sprained MCL. For me, this keeps the intrigue at net zero. The Spurs haven’t missed the playoffs since the Mesozoic Era, and the Warriors have been NBA Finals favorites for the last 3 years and counting. Even without two of the league’s stars, we’re going to see a chess match between NBA coaching’s finest in both Steve Kerr and Gregg Popovich. But when the dust clears, it’ll be a quick exit for the team from Texas. Prediction: Warriors return to full strength after ousting Spurs in 5. Believe it or not, this is the series that I’m most excited for. We have two of the best guard duos in the NBA going head-to-head at full strength: John Wall and Bradley Beal for Washington vs. Kyle Lowry and DeMar DeRozan for Toronto. Every game will be high-scoring, the fans will be insane, and the action on the court will be riveting up to the final seconds of Game 7. The difference will be the fact that the Wizards have struggled without Wall as of late, but he is a guy that can jump back in and jump start the Wizards at anytime. However, it is so difficult to win up in ‘The North’, and when this thing ultimately goes the distance, we will see another D.C. playoff crumble. Prediction: Raptors survive and advance in 7. 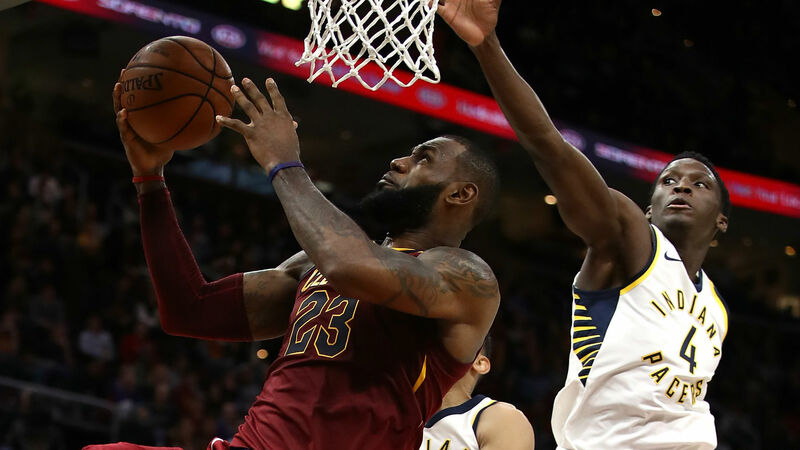 Prediction: Cavs start Spring cleaning; sweep Pacers. If there’s a team in the NBA hotter than the 76ers, I’d love to see them. Winners of 16 straight, ‘The Process’ has paid off big time. Ben Simmons is playing out of his mind, Joel Embiid is back on the floor, and everyone in Pennsylvania is excited for a historic run from the red, white and blue. In their way stands playoff veteran Dwayne Wade, but at this stage in his career, he will not be able to carry more than a leadership role for Miami. 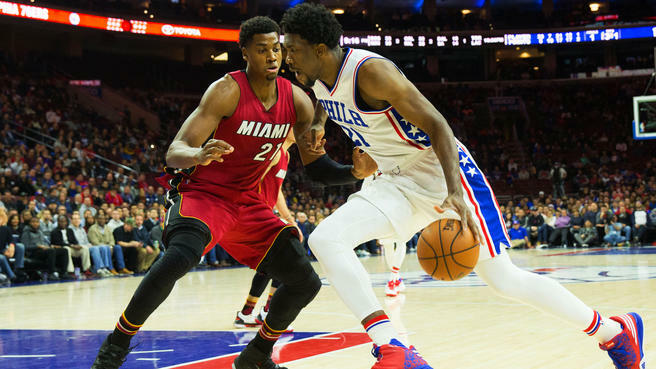 Hassan Whiteside can definitely play with Embiid, but the Heat are going to be very outmatched in this one. Prediction: 76ers stay hot and move on after 5. No Gordon Hayward, no Kyrie Irving, no problem? Well, not exactly for the Celtics. 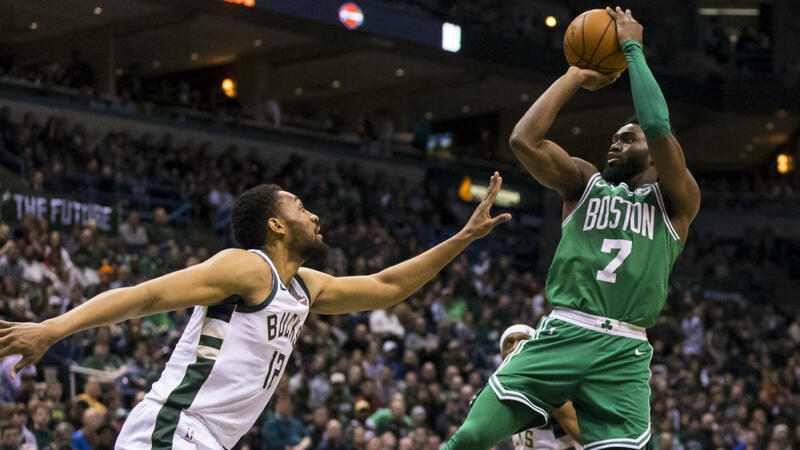 They have a diverse group of talent including future stars Jaylen Brown and Jayson Tatum, but they aren’t playoff-tested yet. Their first exam is the freak-of an-athlete Giannis Antetokounmpo (first time I spelled that correctly on the first try). The Bucks’ big man has so much length, and he is dangerous anytime the ball is nearby. 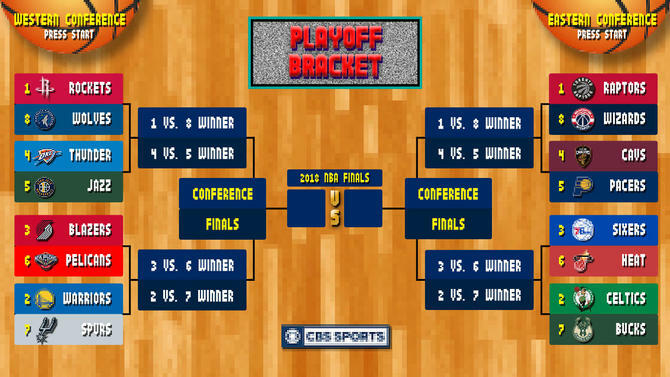 It’s going to be a grind-it-out-battle for Boston, and overall it probably won’t be the playoff run they were looking for in the preseason, but I have to go with my pick for NBA Champions for at least one round. Prediction: Celtics manage to stave off the Bucks in 5. *Yeah, I picked all of the favorites. Sue me. Big shout out to maleopold15 over at Sports Thoughts for his help in the help of creating a new series. He reports on the NBA, MLB, and the NFL. We are each helping each other out on our new fantasy series, mine for the NBA, and his for the NFL. Go check out the full blog at Sports Thoughts. This is a weekly series that will be published every Sunday, previewing who will be the best fantasy players of the next week. Maleopold15 and I will select our ideal fantasy starting fives heading into the week. Last week, Maleopold selected Russell Westbrook, Donovan Mitchell, Kevin Durant, Anthony Davis, and Karl-Anthony Towns who averaged a combined: 25 Points, 10.2 Rebounds, 5.3 Assists, 1.4 Steals, and 1.1 Blocks. Last week, Maleopold selected Russell Westbrook, James Harden, Kevin Durant, Anthony Davis, and Karl-Anthony Towns who averaged a combined: 24.8 Points, 10 Rebounds, 6.5 Assists, 1.1 Steals, and 1.1 Blocks.